Making you and your brand look great. When a company wants to improve the likelihood of website visitors actually reading content, it will want to make sure all web pages have some kind of images. While stock photos are a very easy solution to include on most websites, the fact that stock photos can be purchased and used by anyone not only feels inauthentic but also risks potential customers associating a company's products with something entirely unrelated that used the same image. Original photographs shot by paid professionals provide businesses with imagery that is both unique and highly functional. As technological advances further improve clarity on mobile and desktop devices, a company will want to be sure that the pictures it uses of its employees and products are as visually appealing as possible. If you need professional photography for your company's website, you will want to immediately contact SERP Matrix. We have highly-skilled photographers who capture dynamic shots in the settings of your choosing. SERP Matrix handles and creates original photographs and videos for businesses of all sizes. You can request a quote as soon as you call (713) 287-1134 today. Why should a company use professional photography? How does image quality affect a visitor experience? What are some other benefits to using professional photography? Many businesses want to include information on their websites about certain employees. In such cases, it can help provide visitors with a sense of consistency when the pictures of executives and other employees are professional headshots with the same background style. Photographers with SERP Matrix can come to your location and arrange the backgrounds of your choice. You can be assured that we will handle all of the concerns when it comes to lighting and proper types of cameras for the shoots. SERP Matrix also uses state of the art equipment to ensure that clients are delivered the sharpest possible images. If you do not have a specific background location in mind, we also have access to a luxurious studio perfect for many headshots and other corporate or professional photography. The words on your website matter, but the pictures can be the first things that a visitor will notice. Images of poor quality harm a visitor's impression of the business in general. People want to see high quality pictures of the products they are considering buying or the people they might be working with in the future. An image of high quality is easier for a consumer to identify and trust. SERP Matrix can set up photo shoots with your company and allow you to review all images to determine which pictures will best represent your business. Our photographers take pride in providing a comfortable photo session that companies enjoy participating in. Another advantage to investing in original professional photography instead of stock photos is that you are not limited to using your professional photographs only on your website. 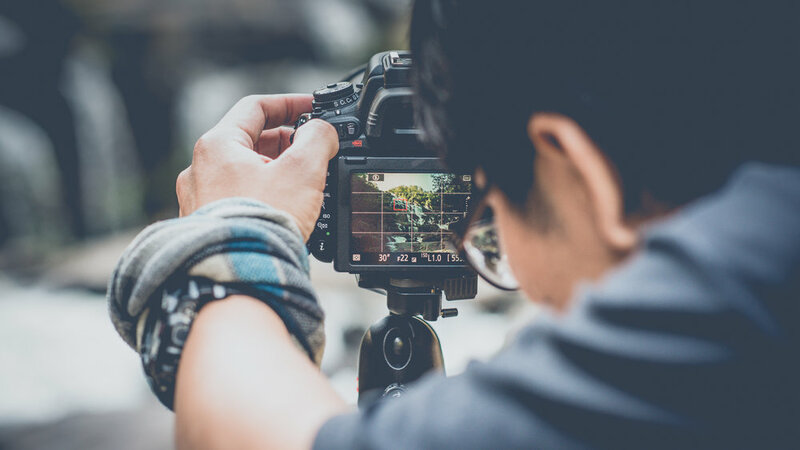 For example, numerous social media—such as a company's Facebook, Twitter, or LinkedIn—accounts can also benefit from making use of professional photography. The photographs can also be used in other publications from the company, such as newsletters, articles, or blog posts. Once you have paid to have photographs of your business professionally taken, you will have the right to use those images in whatever ways you see fit. Any company that wants to be taken seriously should remember that the photographs it uses on its website will go a long way toward determining whether the potential customer will do so. SERP Matrix provides photography and videography services for companies in several different industries. Do you need professional photographs for your company's website? SERP Matrix provides headshots, portrait photos, group photos, product photography, fashion photography, commercial photography, real estate photography and other photography needs for businesses and their employees. We understand the importance that pictures have to people and aim to exceed expectations on every single photo shoot. You can have SERP Matrix provide a quote for you when you call (713) 287-1134 today.